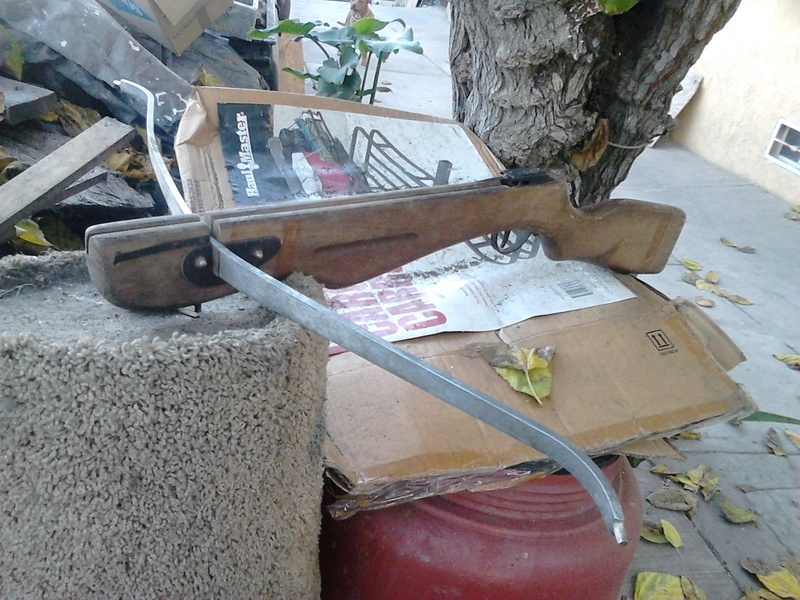 Hey guys, i bought this wham o powermaster crossbow about 2 weeks ago, i just wanted to show it off, its the 1966 model with an 80 pound aluminum prod, i don't know if i should restore it or just leave it as it is, what do you guys think? Great looking vintage bow. 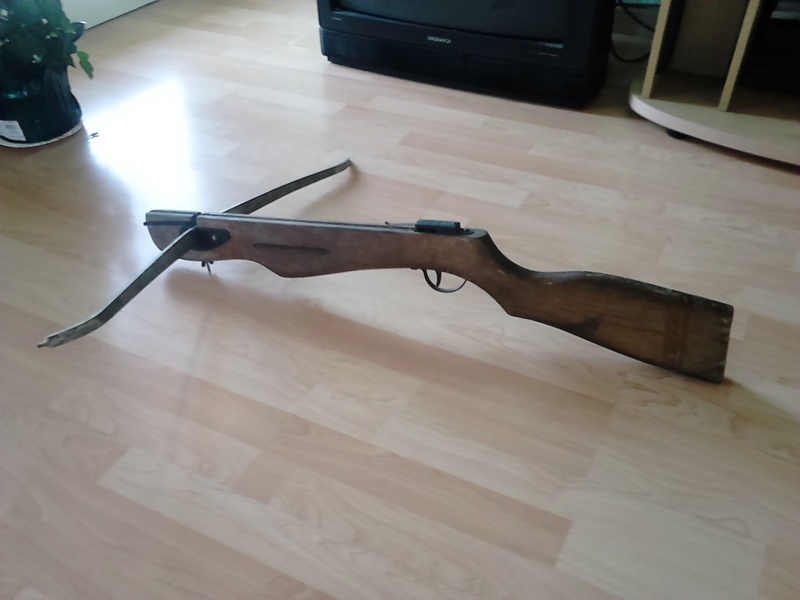 Doesn't look like it needs much restoration besides maybe a fresh sanding and refinishing of the stock. Hows the performance? I haven't shot it yet so i don't know, don't really want to shoot it either, if i remember correctly all wham o crossbows where recalled because the aluminum prods tended to snap wich is rather dangerous, specially on this one since it doesn't have a stirrup, and you might not notice from the pictures but the prod is pretty bent and a bit rusted. I see, wallhanger it is then. Your old Whamo Powermaster isn't necessarily a lost cause. They did have a product recall for safeties that didn't hold. When the bow is spanned/locked it automatically goes on 'safe' mode. With some models, when the safety was released the bow did too. That's easily tested if you don't mind one inadvertant missfire. If the safety doesn't missfire, then you're past that problem. The second problem was the aluminum alloy prods. Given enough shooting over enough years, aluminum prods eventually either bend or break. I sold that on my bows by wrapping the prod in thin goatskin rawhide. If the prod breaks it will just slump and go nowhere. You could take our your prod and either wrap it with fiber tape or leather or rawhide, or what have you. That will slow the prod down just a little bit, but it isn't necessary to slather the prod in tape. Just a single strip of fiber-tape from end to end, with a few turns around near the middle and each end to keep it from coming adrift, should do the trick. Otherwise, Garvin's Slobows used to make a steel replacement for the old Powermaster bows. They'll slightly raise the draw weight, but not so much that your lock should fail. As old as all the Powermasters are, I don't think I would shoot one, (particularly if the prod is looking a bit ratty) without taking some sort of precautions, but it's certainly not a death-trap. DRW/Geezer, New World Arbalest. On the other hand, if the prod is obviously bent or kinked, the prod is probably kaput, or nearly so. In that case, either replace the prod with a steel one from Slobows, or hang it on the wall. If you do decide to go to Slobows (or Alchem Corp.) make sure they understand you want a long prod for an old Powermaster. Slobows and Alchem have a number of different prods available, but most are too short for your Wham-O stock. Of course you could cut a new slot in the stock to take a shorter prod... then you could fit something else. (The new slot would need to be 11-12 inches from the lock. your current prod mounting is much too far from the lock for the shorter Slobows prods) DRW/Geezer. 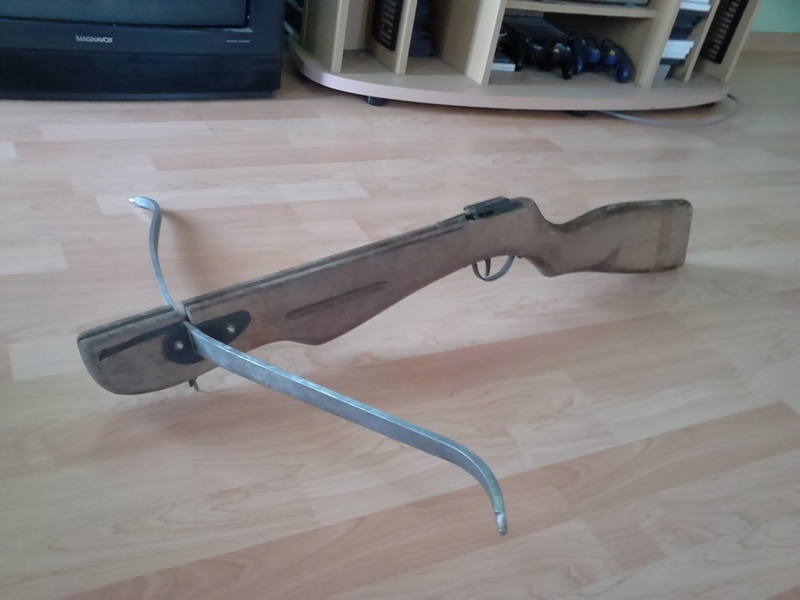 Thanks Geezer, i always appreciate your advice, im not planning on shooting or restoring the crossbow, but i might just wrap the prod with a bit leather and make a string for it.